COMING EARTHQUAKE IN PALM SPRINGS? Lesley has been doing some work on my website to improve it. She’s found problems I did not even know I had! If you need someone to work on your website, email me and I’ll put you in touch. May I also mention that if you need an Editor for that book you’re writing, I have the person for you. Ralonne edits my weekly newsletters and has edited several books. Email me if you need a reasonably priced editor. My new book, “ATLANTIS & LEMURIA—The Lost Continents Revealed!” has so much information that has NEVER BEEN PUBLISHED in any other book on the subject! Read the REAL history of two societies that existed for over 50,000 years each. These books make GREAT CHRISTMAS GIFTS!! Gaia, are we still in for two hurricanes this season for the USA or are those two tropical storms sufficient for your purposes? Experience both, Tom. There are still two hurricanes on the horizon, shall we call it, for the United States—one for the Gulf Coast and one for the Atlantic Coast. Just to make sure as at one time you were contemplating three. No, Tom—just two. When you see them on the horizon and headed for the coasts, you can have your followers request a Benevolent Prayer to lessen their effect. These are, after all, learning opportunities just as they are learning opportunities for those in the path of the storms. The highest probability at this time would be over 90% as it will be a more active hurricane season than you will experience in 2016, as keep in mind at this time you still have more than a month of the potential for more hurricanes. I should have gotten the hint and asked about an upcoming hurricane, but did not. “I ask any and all beings to assist in keeping all beings safe in the path of Hurricane Matthew, to lower the wind speed, and move Matthew farther out to sea, and may the results be even better than we can hope for or expect, thank you!” And so it is! On the news this week there was a report about a large number of small earthquakes near Palm Springs, California, so I asked about the probability of a larger one coming. Gaia, what is the probability of a 6.0 earthquake or higher in the Palm Springs, California, area before the end of 2017? Yes, a little higher here, Tom, as that area is straining and I am trying to release pressure with these many small quakes those people in that region are experiencing. A little less than 50%, but rising just a tad. So, no major earthquake in the area of, say, 6.5 to 8.0 here towards the end of 2016 and 2017? No, it is a low probability at this time. Sandy writes from Arizona: During the Earth changes that Gaia plans to implement, will the city of Prescott, Arizona, be safe? Gaia, will Arizona, including Prescott, be a safe place to live during the next 20 years? For the most part, yes, Tom. It all depends upon where you live. Prescott, Phoenix and Tucson will all be fine. Those that live in the forested areas certainly know that there will be fires as I clear the land. Sedona will be fine, but Flagstaff will have a few problems to deal with. But overall there will be no major earthquakes, just rumbles and those that they feel from other parts of the country, shall we say. You have said previously that they would begin receiving more rain than they have in the past. Would this still be a high probability? Quite so. That is in my plans to, again, bring growth to this desert land. As each year passes, we can update, but Arizona, for those that are able to adjust to the heat, will continue to grow. I think Gaia is giving a little hint that there are going to be some major earthquakes that will be felt as far away as Arizona. Stay tuned. Cathy writes: I have a question regarding the weather in Thailand. My family is planning a trip in November. Due to recent heavy rains, part of Thailand is being flooded right now, including the province where my relatives live (Pathum Thani). Can you ask Gaia how long this flooding will last and if there will be any flooding in November? Gaia, what is the probability of there being continued flooding in Thailand through November? Fairly low at this time, Tom. The rainy season is subsiding and the cyclone season is also subsiding as we speak. 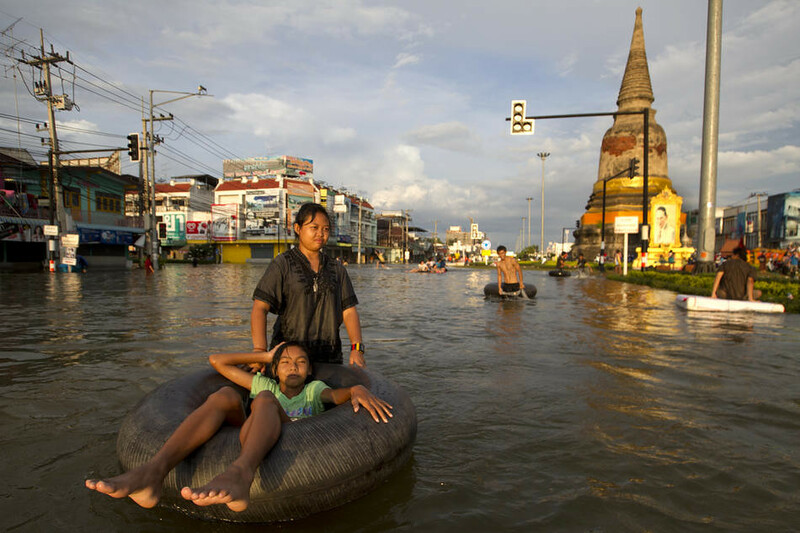 Thailand is a naturally rainy country—tropical in nature—so they will have their rains, just not with flooding. Will the cyclone that just entered mainland China be the last of the season? What is that probability? Yes, I may send one more, smaller storm their way, but nothing more in the category they just experienced. In last week’s newsletter I was asked to see if a new planet would alter the astrological signs. I was told it would only assist the astrologers in being more accurate in their work. Then I read something about the constellations moving and thought I should ask about that. Gaia, have the astrological signs shifted with the reported moving of the constellations? There has not been a significant shift in these constellation over the last few thousand years since astrology was invented. It would be considered minute. It will take many thousands of years more before there would be a noticeable difference. Astrology was and is one of the tools made available to humans for you to learn more about yourselves and your personalities and a little bit about your futures as you continue. [Marfa is in far west Texas, east of El Paso] Daralyn writes from Galveston, Texas: I wonder if Gaia would be willing to explain what is the cause of the mysterious dancing lights in the desert area of Marfa, Texas, covered on the Weather Channel two days ago? They are often passed off as something like a superior mirage from the headlights of vehicles on the nearby route 67, but do not act like headlights, and stories about them go back to the 1880s when there were neither roads nor vehicles there. Is there a natural explanation? 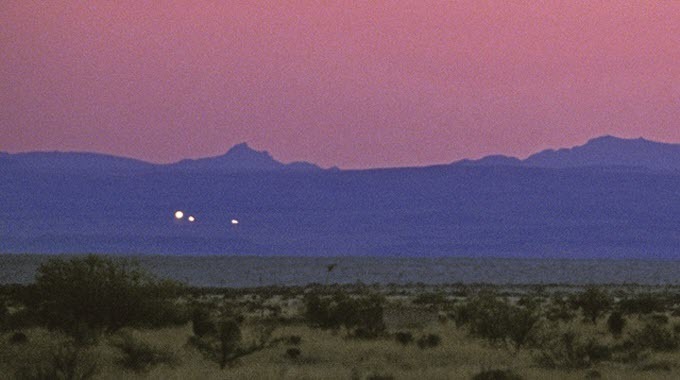 Gaia, is there a natural cause for the dancing lights near Marfa, Texas? Quite so, Tom. You and a number of people thought it might be UFOs in the sky, but it is not. There is a reaction in the atmosphere over this portion of North America. Your geologists should study this phenomenon to determine its cause. I’ve been watching back episodes of CNN’s Anthony Bourdain’s Parts Unknown at lunch. I’ve found I learn a lot more about the people of a country instead of just the tourist attractions. Beirut was a recent episode I watched. I found it fascinating how many people with different religions are crammed into that one city, and all seem to be working to keep the peace. Gaia, what is the highest probability for Beirut in 2017? More of the same. It remains a tinderbox where, as they say, every type of religion is crammed into close quarters. Most of its citizens prefer peace. If we go further out they will attain peace in the next few years. Shelby writes: Do trees feel pain? And do they know they are going to be chopped down and are okay with it? Gaia, do trees feel pain, such as when we trim or even cut down a tree? Yes, in a way they do, Tom. When a tree is trimmed, the tree knows it is normally in its best interest to do so. All trees have a group soul and all feelings are passed back. When a tree is cut down and/or dies, again, there is this connection. The reverse is true if the tree is allowed to stand in a forest untouched. It enjoys humans and can recognize you as you pass by each day. Be kind to trees and they will be kind to you. Trees are imbued with their own form of personalities and there are those trees who prefer human contact and those that do not. Daralyn writes: After reading in last week's newsletter about communicating with trees, I happened to remember a talk I heard years ago given by a walk-in (Michael; I forgot his last name) who said he had been taken onto a spaceship and was shown all the past lives he had ever had, and was startled to see that one of them was a tree. I inquired of Spirit about this, and got the answer that, yes, everybody incarnates as a tree. Could you please ask Theo or Gaia to confirm this, and if true, what would be the purpose? Gaia, has the Explorer Race had lives as a tree prior to our lives as humans in the Earth Experiment? Quite a few of you have, Tom. It is a way for many of you to experience and appreciate the contributions that trees make in this world. So, what percentage of souls taking part in the Earth Experiment have had lives as trees? A high percentage, Tom—let’s say over 80%. In the scheme of things, these were brief lives—30 to 50 years. Are any souls still doing this in this time period? No, this took place several million years ago. Antura is a member of my soul group or “cluster” as Theo calls them, whose soul interest is exploring where our soul imbued me with a soul interest in religions. He’s had 800 lives on Earth, but now he’s back on our home water world planet in the Sirius B Star System, again as an explorer. He’s part of a “first contact” team. In my book FIRST CONTACT: Conversations with an ET, he described a visit to an evolving desert planet (the description sort of reminded me of Tatooine from the Star Wars stories, but with no humanoids) and even to one of the three adjacent universes to ours, which he says is REALLY different! Here are more questions for him this week. Antura, have the insertion of the modules for all the crew and visitors been accomplished now on the mothership? Quite so, Tom. Time grows short for departure. There will be still much to be done, but those module insertions are completed. Keep in mind that we take longer to do things than is done on Earth, as we do not have that sense of urgency that all Earth humans do. Brian writes: I have a question for either Gaia or Theo - whomever is most appropriate. Do any of the other races humans interact with at this moment in time/being practice out-of-body travel, guided meditation, or channel messages like we do, or are those things unique to the humans vibrating at this 3D frequency? I'm liking your newsletter and am working on reading through the archives. Antura, do any other societies have out of body travel, guided meditation, or channeling as Earth humans do? You could say there is nothing new under the son, Tom, as there are billions and billions of societies out there. They are just not veiled as you are, so any of the above acts are usually quite easy to accomplish. You can add telepathic communications to that list too, which of course channeling, as your reader termed it, is a form thereof. 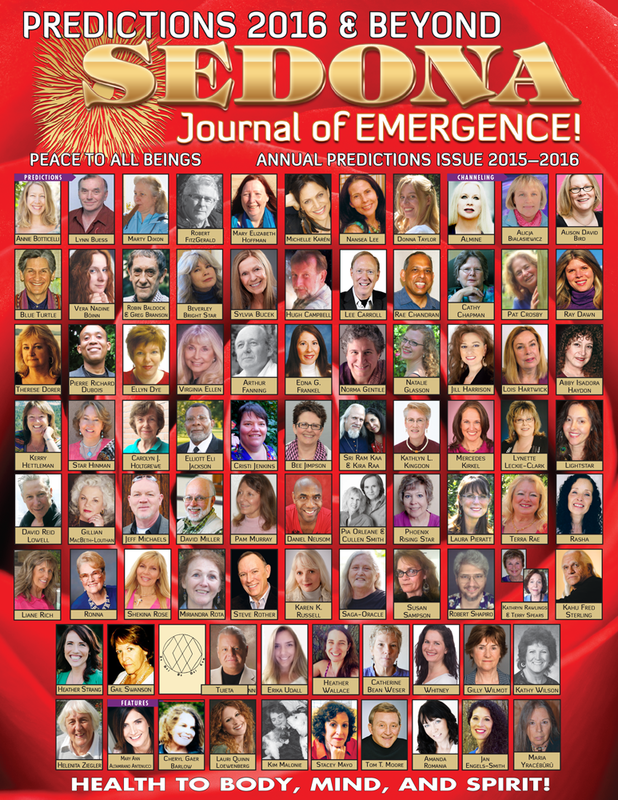 This is done more by the spiritual leaders of a world as they assist in guiding their people. Sharlene writes: My granddaughter Keira had been trying so hard to get her driver’s license. She just could not get the parallel parking when she was with the instructor. I asked for a benevolent outcome on Facebook. After four times, and at $100.00 per test, she passed and received a 100% passing grade. Thank you; she just needed Angel’s confidence that she knew she could do it. Joanna writes from Abu Dhabi: Another major Benevolent Outcome, this time for my parents. I arranged a weekend away for my parents. As it was my idea, I really wanted them to enjoy the place and the weather. After having said an MBO to find a perfect place for them to stay, I found a place within walking distance from the sea and a city center, very cute and at a good price. Once the place was booked, I requested a BP from Gaia (several times) to provide the perfect weather for that weekend. The sun was shining THE WHOLE weekend (which is quite unusual on the Polish sea). Also said several BPs for their general well-being and for them to have a great time. My parents were absolutely amazed with the place and all the activities they experienced. They even prolonged their stay by another day! I am so very grateful to All the Beings, Angels, and Gaia! (1) What inventions/art did he create in past lives that are recognizable to us today? (2) Will he create other inventions/art in the future that will become world famous like the Mona Lisa? (3) Who was Mona Lisa? I think Theo must have known I was not receiving as well that morning. Theo, would any of Leonardo da Vinci’s inventions and art be known from his other lives today? Yes, but only a couple. We can cover those at some other time. What about his future incarnations, and will he continue to invent and produce? Yes, there will be more as he is an older soul and is allowed latitude to create. Who was Mona Lisa and why is her face so inviting? Yes, she was a local, shall we call her, and it was the eyes that everyone felt were constantly staring right at you. Theo, my friend Gary commented on how as he prepares his house for sale the energy seems to be moving over towards the new buyer. He said it’s as if he no longer owns the house. Comments? That is exactly what happens when you are about to sell a house, car, or any other item that has been in your possession. There is an awareness that most humans don’t notice in these constructed or manufactured items. His house is already aware that there will be a new family to inhabit the home and it already is aware of their energy. It has detached its connection to Gary and his wife and waits with anticipation for the next family to live there. That is very perceptive on Gary’s part. Can we say the same about our Library of movies and series we are offering for sale [so that I can have more time to write and speak]? Yes. As you grow closer to the time of the sale, the items in the library will see they will have new experiences and look forward to having people enjoy the experience of the stories they contain. Mr. M.W. writes: Tom, I love your email newsletter, but I'm concerned about all this murdering and butchery that seems to be justified by Theo saying "it's in a soul contract" and "it's balancing things out because the murderer was murdered in a past life by that person." The most heinous atrocities can be justified by just saying it was their "karma." Isn’t this just perpetuating the wrong doing? "An eye for an eye leaves both parties blind," said Martin Luther King, Jr. What about the power of forgiveness? Isn't this the soul lesson to be learned here? Not the "balancing out" of past violence, but the forgiving of past transgressions to end the cycle of violence? Theo, can you better explain why balancing is needed as it seems to perpetuate violence? Yes, it certainly seems that way, but as you slowly raise your vibrational levels through compassion and a better attempt at learning to love your neighbors, this violence against each other will slowly but surely subside. You can move this timeline along at a faster rate if you continue to say benevolent prayers for peace and say benevolent prayers for those affected by violence of any kind. I might add here, Tom, that your efforts will pay off one day as more and more people are introduced to the Gentle Way. So, I might also add here that those who request MBOs and BPs in their lives will live more gentle lives and will avoid any chaos. Those that need to balance past actions will do so, but these numbers will slowly decrease. And yes, more people must learn to forgive and put the intent out there that they forgive and will move on. Charlie writes: I felt a very strong connection with you, as in you know the person that Sergei Eisenstein is in this life. Can you ask if you know the person that he is or is he an acquaintance of yours? Theo, do I know the incarnation of Sergei Eisenstein in this life? No, Tom, although your paths have crossed in another incarnation. As you might guess, it was during a life back in Atlantean times when you were a director, and so was he. Giacomo Casanova, I have discovered, was not only known as a womanizer, thanks to his own autobiography, but also had numerous occupations during his life. Theo, in reading more about Casanova, whose life or a portion of it would make an interesting movie, was he a little more seasoned soul in order to have had so many occupations during his life? Quite so, Tom. He was in his 300’s, so his ability to be a chameleon was drawn from his previous lives. His soul interest is adventure and exploring. He just overdid the womanizing in that life and, as was previously explained, he will now have balancing lives. What is the probability of a motion picture being produced with him as the subject? Fairly low at this time. As you well know, period pieces are expensive and there is a fairly small market, while in order to do his life justice it would require a number of changes of location. Laurie writes: A friend has turned to me to ask you and Theo about a particular fear she’s carried with her since childhood. I hope you can help her. She wants to know why she’s so afraid of falling from a great height. She’s had two severe panic attacks about this in her life so far. After some discussion between us, we don’t think it’s a “simple” fear of heights. She has had panic attacks on two occasions that came out of the blue. Both occurred when she was on a mountain. The first one was when she was a kid and was hiking with her mom in the Adirondacks. Her mom had stopped to admire the view, and when my friend turned around to look, she froze and had a panic attack. She couldn’t move! Her mom got angry and walked on, leaving my friend behind. The only thing that got my friend up and going was concern for her dog, who had raced ahead and out of sight. My friend was 11 years old. The second incident was recent. She drove up a mountain on Maui, Hawaii. She got up the mountain ok. It was a bit of a mental struggle, but ultimately an achievement. (This was a 10,000-foot volcano!) But as she started to drive back down the mountain, the panic attack hit her. It was so severe that she was full ready to call a park ranger and have him drive her back down the mountain. Sheer force of will got my friend down that mountain, even if it was at 10 miles an hour! I hope you and Theo can provide some insight about this. Theo, why does Laurie’s friend now have panic attacks on mountains when she was previously a ski patrol person? Yes, she has reached a level where now she needs to address a past life fear of falling to her death. She needs to have a past life regression to see where this fear originated. She can move past this if she is willing to identify the life and get past the fearful subconscious memory this time around. Somewhere I read that there must be millions and millions of different types of beings assisting Gaia, so I thought I should re-verify what I’ve been previously told. Theo, I forgot to ask Gaia if there are more than the four million souls assisting her in running the Earth. No, that figure is very close to the actual number, Tom. Keep in mind that there are souls that are termed “Group Souls” that provide all your dogs or cats as an example. On the surface, it would seem there would be millions more, but in actuality that’s not the case. If you've tried to sign up for my weekly Blog with nothing but MBO and BP stories, then check this out. This came from Lesley who's doing some work on my website. A feed is a stream of data meant to be interpreted by a feed reader, like NewsBlur or RSSOwl. Not all browsers have the capability to interpret feeds, and one of the most popular browsers lacking this feature is Google Chrome. Users of Chrome and other similar browsers will notice a "This XML file does not appear to have any style information associated with it. The document tree is shown below." error followed by the raw feed. This is normal, as Chrome was not built to interpret feeds. Instead, subscribe to the feed in a real feed reader, or install Google's RSS Subscription Extension. Follow this link and install the Google RSS Subscription Extension. 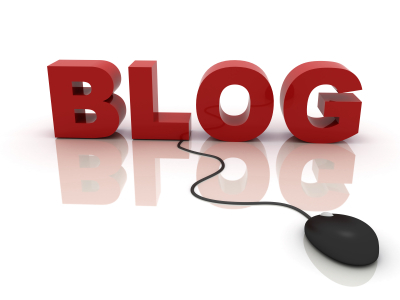 Then you can subscribe to any blog feed.